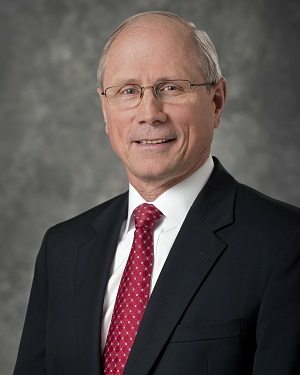 James K. Reed, M.D., MBA, president and chief executive officer of St. Peter’s Health Partners, will be inducted into the Tech Valley Business Hall of Fame. Dr. Reed is one of three local business leaders selected for the honor, which recognizes local champions of free enterprise for their success and dedication toward making Tech Valley a better place to live and work. The Tech Valley Business Hall of Fame Dinner and Induction Ceremony, now in its 22nd year, will be held on May 3 at the Albany Marriott on Wolf Road in Colonie. The Business Hall of Fame is co-sponsored by Junior Achievement of Northeastern New York, Inc., and the Center for Economic Growth. Induction into the Tech Valley Business Hall of Fame is one of the Capital Region’s most prestigious business awards for outstanding contributions to free enterprise, and for commitment and service to the communities in which these leaders live and work. Also selected for induction this year are: William J. Cromie, M.D., MBA, the retired president and chief executive officer of Capital District Physicians’ Health Plan, Inc.; and, posthumously, Edward J. Lewi, (1933-2015), former president and chief executive officer of Ed Lewi Associates. This year’s honorees bring membership in the Tech Valley Business Hall of Fame to a total of 65 distinguished individuals and visionary leaders inducted since it was founded in 1996. An exhibit honoring all inductees hangs in the Albany International Airport.